Background Over half a million people die in Britain each year and, on average, a GP will have 20 patients die annually. Bereavement is associated with significant morbidity and mortality, but the research evidence on which GPs and district nurses can base their practice is limited. Aim To review the existing literature concerning how GPs and district nurses think they should care for patients who are bereaved and how they do care for them. 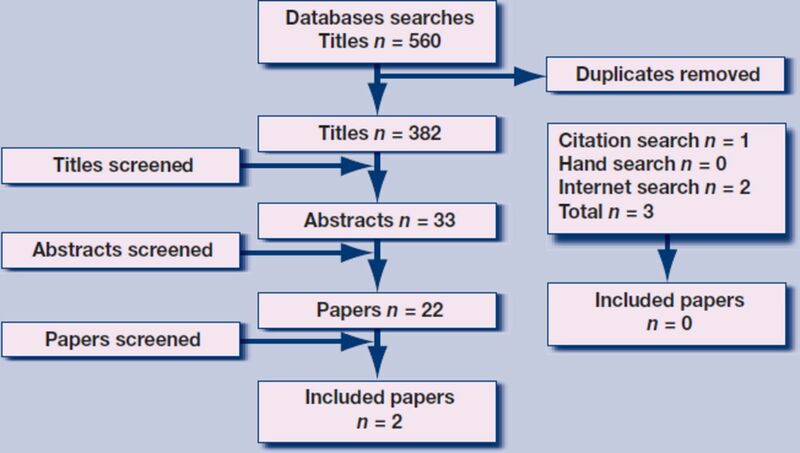 Method Searches of AMED, BNI, CINAHL, EMBASE, Medline and PsychInfo databases were undertaken, with citation searches of key papers and hand searches of two journals. Inclusion criteria were studies containing empirical data relating to adult bereavement care provided by GPs and district nurses. Information from data extraction forms were analysed using NVivo software, with a narrative synthesis of emergent themes. Results Eleven papers relating to GPs and two relating to district nurses were included. Both groups viewed bereavement care as an important and satisfying part of their work, for which they had received little training. They were anxious not to ‘medicalise’ normal grief. Home visits, telephone consultations, and condolence letters were all used in their support of bereaved people. Conclusion A small number of studies were identified, most of which were >10 years old, from single GP practices, or small in size and of limited quality. Although GPs and district nurses stated a preference to care for those who were bereaved in a proactive fashion, little is known of the extent to which this takes place in current practice, or the content of such care. On average, GPs in the UK will have 20 patient deaths annually and many people who are newly bereaved in their practice each year. Bereavement is an important cause of mortality and morbidity especially in high-risk groups such as older people and those who are socially isolated, and bereavement care is central to the recent Department of Health's End of Life Care Strategy.20 Bereavement care practice in primary care varies widely across the UK but, with guidelines based on expert opinion rather than evidence, it remains unclear what constitutes best practice. Ways to improve bereavement care include completing practice death registers, offering home visits and telephone consultations, and sending condolence cards. The extent to which such approaches occur in current practice, or would be welcomed by those who are bereaved, is largely unknown. Bereavement care is frequently overlooked in clinical practice and largely ignored in the primary care scientific community. how do GPs and district nurses think they should care for patients who are bereaved? how do GPs and district nurses care for patients who are bereaved? A search of AMED, BNI, CINAHL, EMBASE, Medline and Psychinfo databases between January 1980 and May 2009 was undertaken, with the support of a professional librarian, to identify studies of GP and district nurse bereavement care for adults. The search terms used are shown in Box 1. After removal of duplicate papers, titles were scanned to remove papers that were clearly not pertinent. Abstracts were then read by the researchers independently to identify potentially relevant papers; these were read in full by both authors independently, with any disagreements resolved by discussion. Further papers were sought by checking references and citation searches of included papers, conducting an internet search using Google Scholar, and hand searches of the British Journal of General Practice and Palliative Medicine between January 1980 and May 2009. These journals were selected as they had provided several titles in the initial search. Figures 1 and 2 show the processes. Selection process for papers on bereavement care provided by GPs. Selection process for papers on bereavement care provided by district nurses. To fulfil the inclusion criteria, papers had to detail empirical studies that were written in English and reported GP or district nurse practice or their views about caring for adults (≥18 years) who are bereaved and grieving for deceased adults. Papers were excluded if they detailed bereavement following the death of a child, miscarriage or stillbirth; bereavement in childhood; or bereavement care outside primary care. Discussion articles, guidelines and opinion pieces with no new empirical data were also excluded. The content of GP and district nurse contacts in bereavement has been little studied beyond practitioner reports. GPs report that they express their condolences, advise about the grieving process, encourage people to talk and express their feelings, and explore spiritual concerns.26 In many cases a prescription is issued,26 most commonly for hypnotics.25 District nurses report their contacts to have a more practical focus, discussing any arrangements to be made and local services available.21 No observational studies of bereavement practice were identified. The attitudes and expectations of people who are bereaved towards care from the GP or district nurse was outside the scope of this review and would require a different search strategy of further databases. Several of the studies included such views, however, which are included here to balance the professional focus. This review of the literature reveals both GPs and community nurses view bereavement care as an important and satisfying part of their work, although one for which they have received little training. Bereavement care provision in primary care varies greatly: some practices have well structured proactive bereavement care protocols, with planned home visits, telephone consultations, or condolence letters: others are reactive in their approach, waiting for bereaved people to consult. There is a fear of medicalising a traumatic but normal life event. The literature provides a limited evidence base is for the development of guidelines for best practice. This review has systematically identified and synthesised the literature concerning GP and district nurse bereavement care. 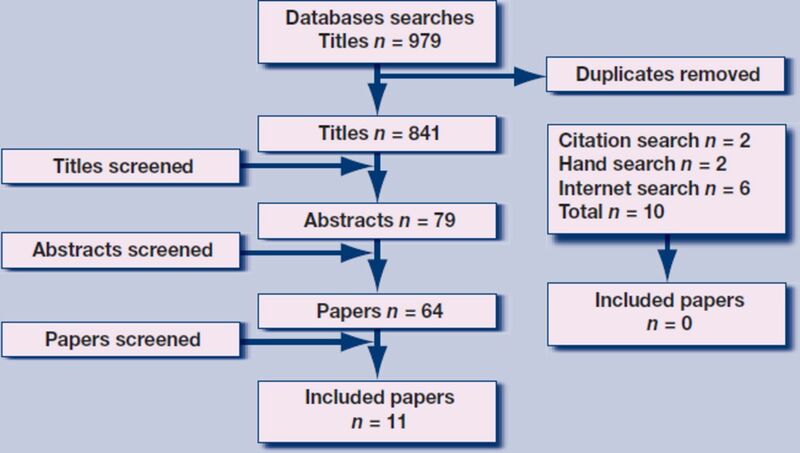 That no additional papers were included from reference, citation and hand searches suggests the search strategy to have been comprehensive. In contrast to the previous review of Woof and Carter,17,18 the study has undertaken a formal systematic review and synthesis of the literature. Bereavement is a major risk factor for physical and mental morbidity and mortality, with a range of risk or protective factors identified in a recent literature review2 (Table 2). Although the literature is inconclusive for some of these factors, hindering the development of robust bereavement risk indices,36 these four categories of circumstances of the death, intrapersonal factors, interpersonal factors, and coping strategies provide a useful framework for practitioners to seek to identify those at particular risk of adverse outcomes, who may be reluctant to consult ‘just for bereavement’ and be in particular need of proactive care. Most of the included papers are now old: most were published over 10 years ago and none since 2002. Primary care and society are different in many respects from the time that these studies were undertaken: GPs are increasingly working part time, with reduced continuity of care especially out of hours; an ageing population is frequently living alone, socially isolated from family and friends. Most are small studies, often undertaken in one GP practice, and thus of limited generalisability. Practitioner self-report of care may not reflect actual care delivery in practice, for example the degree to which reported care is provided for all bereaved patients or the content of consultations. Identification of the bereaved beyond the partner or household of the deceased has not been studied, nor has the care of those not registered with the practice or wider family and friends. Importantly, little is known of the views and expectations of care from their GP practice of the bereaved themselves. These issues need to be addressed in future research studies if primary care is to provide evidence-based optimal care for bereaved people. A new study of bereavement care in 21st-century primary care is needed, investigating the views of GPs and district nurses in modern primary care, documenting care provision in practice and, most importantly, investigating the views of those who are bereaved about the contact and support they would like from primary care during the difficult period of bereavement. This we are planning to undertake. We would like to acknowledge the support of Isla Kuhn, reader services librarian at the University of Cambridge School of Clinical Medicine library. Shobhana Nagraj is funded by the NIHR Academic Clinical fellowship programme. Stephen Barclay is funded by Macmillan Cancer Support through its Research Capacity Development Programme and the National Institute for Health research (NIHR) CLAHRC (Collaborations for Leadership in Applied Health Research and Care) for Cambridgeshire and Peterborough. This study was undertaken as part of the above Fellowships. Stephen Barclay is a member of the NIHR Collaborations for Leadership in Applied Health Research and Care for Cambridgeshire and Peterborough. (2007) Some issues in the provision of adult bereavement support by UK hospices. Soc Sci Med 64(2):428–438. (2007) Health outcomes of bereavement. Lancet 370(9603):1960–1973. (1967) The Social Readjustment Rating Scale: a cross-cultural study of Japanese and Americans. J Psychosom Res 11(2):213–218. (2001) in Palliative care for non-cancer patients, Palliative care of non-cancer patients: a UK perspective from primary care, eds Higginson I, Addington-Hall J (Oxford University Press, Oxford), pp 172–188. (1995) Bereavement: a protocol for primary care. Br J Gen Pract 45(397):427–430. (2000) Improving management of bereavement in general practice based on a survey of recently bereaved subjects in a single general practice. Br J Gen Pract 50(460):863–866. (2006) Literature review on bereavement and bereavement care (The Joanna Briggs Institute, Robert Gordon University, Aberdeen) http://www4.rgu.ac.uk/files/BereavementFinal.pdf (accessed 18 Nov 2010). (1998) Bereavement in adult life. GPs should be accessible, not intrusive. BMJ 317(7157):538–539. (2008) Bereavement help-seeking following an ‘expected’ death: a cross-sectional randomised face-to-face population survey. BMC Palliat Care 7:19. (2006) A UK-wide postal survey to evaluate palliative care education amongst general practice Registrars. Palliat Med 20(4):463–469. (1997) How common is medical training in palliative care? A postal survey of general practitioners. Br J Gen Pract 47(425):800–804. (2003) Caring for the dying: how well prepared are general practitioners? A questionnaire study in Wales. Palliat Med 17(1):27–39. (2001) Spousal bereavement – implications for health. Fam Pract 18(6):614–618. (2001) Bereavement: implications for health visiting practice. Community Pract 74(5):182–184. (1993) A group approach to overcome loss. A model for a bereavement service in general practice. Prof Nurse 8(10):680–684. (2005) Bereavement visiting in the community. Eur J Palliat Care 12:74–77. (1997) The grieving adult and the general practitioner: a literature review in two parts (part 1) Br J Gen Pract 47(420):443–448. (1997) The grieving adult and the general practitioner: a literature review in two parts (part 2) Br J Gen Pract 47(421):509–514. (2006) Systematic reviews in the social sciences: a patractical guide (Blackwell Publishing, Oxford). (2010) Weight of evidence: a framework for the appraisal of the quality and relevance of evidence. Research Papers in Education 22(2):213–228. (2002) The role of the district nurse in bereavement support. J Adv Nurs 38(5):467–478. (1999) General practitioners' beliefs and attitudes about how to respond to death and bereavement: qualitative study. BMJ 319(7205):293–296. (1998) Bereavement care in general practice: a survey in South Thames Health Region. Br J Gen Pract 48(434):1560–1564. (1994) Bereavement care: relationships between the intensive care unit and the general practitioner. Intensive Crit Care Nurs 10(4):257–264. (2000) A questionnaire survey of family practice physicians' perceptions of bereavement care. Arch Fam Med 9(9):822–829. (1982) The role of the general practitioner in helping the elderly widowed. J R Coll Gen Pract 32(237):215–227. (1998) Special not different: general practitioners' accounts of their care of dying people. Soc Sci Med 46(9):1111–1120. (2002) Referrals for bereavement counselling in primary care: a qualitative study. Patient Educ Couns 48(1):79–85. (2001) Bereavement visiting: older people's and nurses' views. Br J Community Nurs 6:629–635. (1995) Bereavement care. Br J Gen Pract 45(395):327. (1990) Audit of terminal care in a general practice. BMJ 300(6730):983–986. (1994) Bereavement and the role of the general practitioner. J Cancer Care, 103–109. (1995) Bereavement referrals to a psychiatric service: an audit. Eur J Cancer Care 4(1):17–19. , 2001 Bereavement Care Standards: UK Project. Standards for Bereavement Care in the UK. http://www.crusebereavementcare.org.uk/PDFs/UKStandardsBereavementCare.pdf (accessed 29 Nov 2010). (2004) Improving supportive and palliative care for adults with cancer (NICE, London). (2010) Bereavement needs assessment in specialist palliative care: a review of the literature. Palliat Med 24(1):46–59.